Assisted models of Digital Finance – a Stepping Stone? This is the second article in a series on the progress of digital financial services in Bangladesh. It draws on discussions held at a recent seminar on the subject, organized by BRAC’s Social Innovation Lab in Dhaka, in collaboration with a2i, and USAID’s mSTAR project implemented by FHI 360. IFMR LEAD was the Knowledge Partner for the event. In the first part of this series, we highlighted gender gaps in access to mobile financial services and their usage among women in Bangladesh. In this article, we take a look at assisted models of digital finance such as over-the-counter transactions, and the reasons why they may be here to stay in the near future. “Banking is more fundamental than I realised. There have been attempts: the microfinance groups, co-operatives, but the transaction fees have always been too high. Until we get those services down with very low fees onto the cellphone in digital mode then banking will always be for those who are better off”. The significant number of OTC and other agent-led transactions happening are being considered a cause of concern for the Bangladesh government and the Central Bank, because the potential drawbacks of such transactions are many. 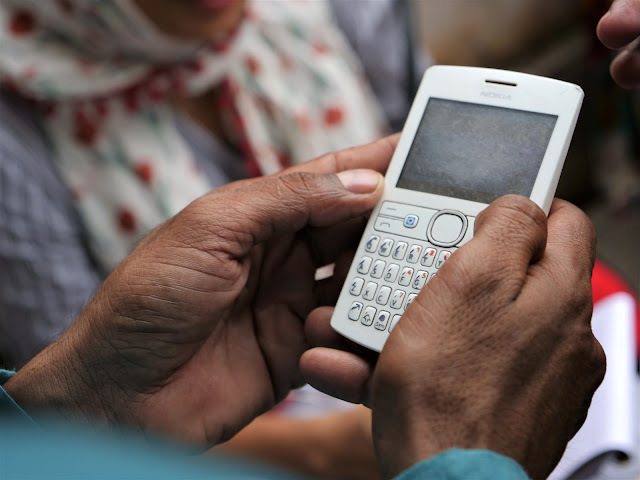 Involving agents in e-transactions between individuals - particularly those with lower levels of literacy - makes their exploitation all the more possible. At the same time, it raises the risk of fraud and susceptibility of agents to operational risks such as theft and data leakages. From a regulator’s point of view as well, OTC transactions can pose serious challenges, which is why the central bank has put in place strict regulations concerning OTC transactions. A primeconcern pertains to the susceptibility of these transactions to misuse, for illegal purposes such as money laundering. Additionally, there is a fear that the persistence of OTC transactions will hinder the transition to a digital system, since these are definitely more convenient for a section of society - leading to a kind of lock-in. 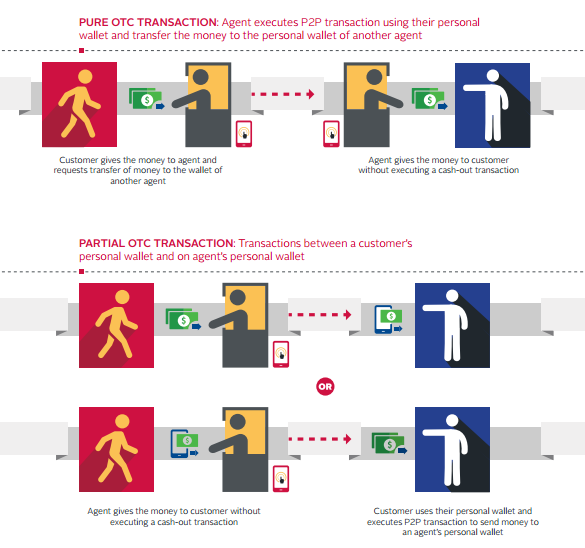 From a financial inclusion point of view however, the prevalence of OTC and similar types of transactions represents an important stepping stone in the leap from traditional channels of accessing financial services to embracing digital, and mobile phone based services. For one, it allows the inclusion of a large set of people into the system immediately, who would not have been included otherwise. 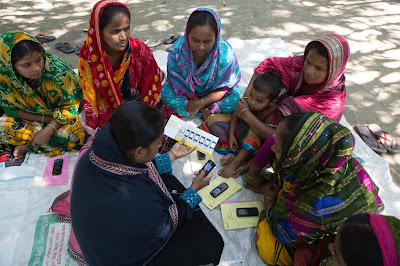 While difficult to quantify, one estimate suggests that of the 24.7 million Bangladeshi adults who have used bKash at least once, the number of implied (and unique) bKash OTC users could be as high as 19.7 million! This is not a small number, and it reminds us that while a digital service like bKash has had a tremendous impact, it is not easy - particularly for the BoP segment - to transition to a completely digital system without significant handholding and guidance. The human touch goes a long way in this regard. Additionally, the assumption that is dependent on the human touch will impede the transition to a completely digital system, discounts the power of peer learning among users. As more people perceive the ease, benefits and upsides to using digital and wallet-based systems, their popularity is likely to increase. While concerns regarding people being cheated or taken advantage of with reference to OTC type transactions may be legitimate, anecdotal evidence shows that the system is built on trust. Agents are often locally well known, and in many cases close family members or friends are trusted to assist OTC transactions. It would be naive to think of agent-assisted models and fully digitalmodels as being exclusive to each other. There is considerable value in positioning these two models as complementary to each other - depending on the use value, for instance. Thus, policymakers and practitioners must bear in mind the needs as well as preferences of users in accessing different platforms of digital finance. At a seminar on ‘Digital financial inclusion: Innovations from Bangladesh’ organized by BRAC recently, in collaboration with a2i, USAID’smSTAR project implemented by FHI 360, conversations on these issues took center-stage. While concerns that agent assisted models would cannibalize purely digital models were played down by experts, the advantages of using agent-assisted models as a means of hand-holding users in the transition to a purely digital landscape were highlighted. Ultimately, agent-assisted models can co-exist and complement purely digital models - allowing some users to choose between them as required and as necessary. This, many agreed, would be the way forward towards true financial inclusion. The authors, Parul Agarwal and Suraj Nair of IFMR LEAD, would like to thank Tanjilut Tasnuba, Maria May, and Masrura Oishi from BRAC Social Innovation Lab and Kazi Amit Imran from FHI 360 for their valuable inputs on this article.